Grand Canyon Whitewater offers river trips in two different styles of rafts. The majority of our whitewater river trips are aboard motorized rafts and we run a few trips aboard oar-powered rafts annually. 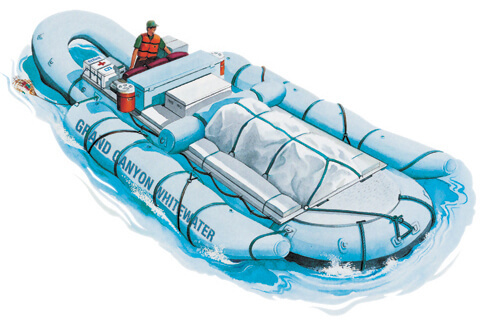 Both motorized rafts and oar-powered rafts are rubber rafts designed specifically for whitewater rafting in Grand Canyon. One of the many benefits of a motorized trip is they allow you to enjoy all Grand Canyon has to offer in a shorter amount of time. About a week on a motorized raft will allow you to see the full canyon. While oar-powered trips travel at a much leisurely pace, taking about two weeks to raft the entire 225 river miles. What you should know about Grand Canyon Whitewater’s oar trips is that they are not a paddle trip. You will not be issued a paddle or oar. As a passenger your job is to hang on, enjoy the ride and take in the beauty of Grand Canyon. 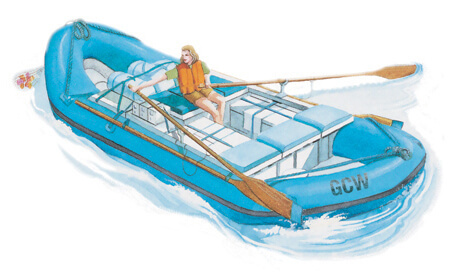 We’ve put together a few pages that give more detail about our motorized rafts and oar-powered rafts. More rafting questions? Call Grand Canyon Whitewater at 1-800-343-3121!